Online ordering menu for Hot Doggy Dog. 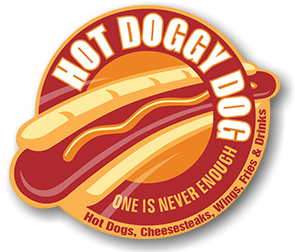 One is never enough here at Hot Doggy Dog, here we serve Hot Dogs, Cheese steaks, Wings, Fries & Drinks. Try our Big Buffalo Wings or Jumbo Chicken Tenders, also we have so many choices of sides you can add, like Mozzarella Sticks, Jalapeno Poppers. For hot dogs, you can choose from Plain or cheese with all kinds of toppings you can choose from. Find us here in Downtown Elizabeth near the crossing of Broad St and Police Plaza. We are next to the Elizabeth PD and NJ Municipal Court. Order Online now for pickup or delivery!